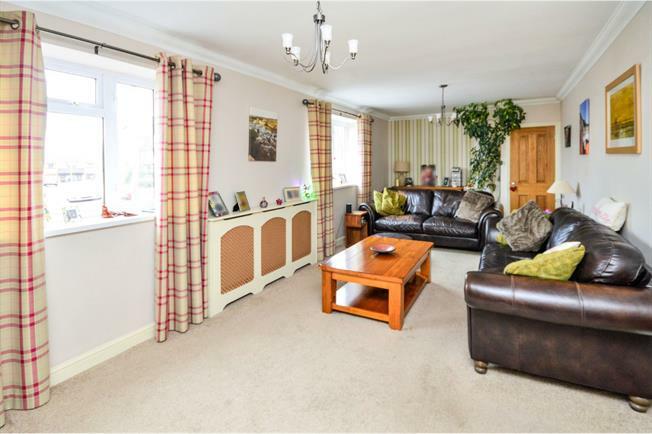 3 Bedroom Semi Detached House For Sale in Ashford for Asking Price £325,000. Mann are excited to welcome to the market this well presented, recently refurbished and recently extended three double bedroom property in the heart of Charing. Located in the popular area of Charing which is a large, mostly agricultural village and civil parish in the Ashford District of Kent, in south-east England. It includes the settlements of Charing Heath and Westwell Leacon. It is located at the foot of the North Downs and reaches up to the escarpment. The Pilgrims' Way, the M20 motorway and Charing railway station (between London Victoria and Ashford International via Maidstone) serve the parish. As you enter the property you are greeted by are large entrance hall. Which leads to the downstairs accommodation consisting of a large living room, separate dining room, recently fitted kitchen/breakfast room, utility room and a downstairs shower room. The upstairs accommodation consists of three double bedrooms and a four piece family bathroom. Other benefits include a large driveway which could easily accommodate 6 cars, a garage and a recently landscaped two tiered garden which is part laid to lawn and part patio. This property is extremely deceptive and offers a great deal of living accommodation. This property is a must view so please contact us to arrange your viewing today! Radiator and wood burner, carpeted flooring, ceiling light. Radiator and underfloor heating, tiled flooring. Granite effect work surface, built-in and fitted units, inset sink, integrated oven, integrated hob, overhead extractor, integrated dishwasher. Composite work surface, built-in and fitted units, stainless steel sink, space for washing machine, washer dryer. Heated towel rail, tiled flooring, part tiled walls. Standard WC, double enclosure shower, pedestal sink. Double bedroom; radiator, carpeted flooring. Double bedroom; radiator, carpeted flooring, a built-in wardrobe. Radiator, tiled flooring, part tiled walls. Standard WC, panelled bath with mixer tap, single enclosure shower, pedestal sink with mixer tap.